Nike’s Newest NYC Garage serves a dual-function purpose much like the vast majority of the Swoosh brand’s footwear. It serves a utilitarian purpose – housing and protecting Nike employee cars – while its vast surface area also allows for some of the best artists around to give the building some added life. 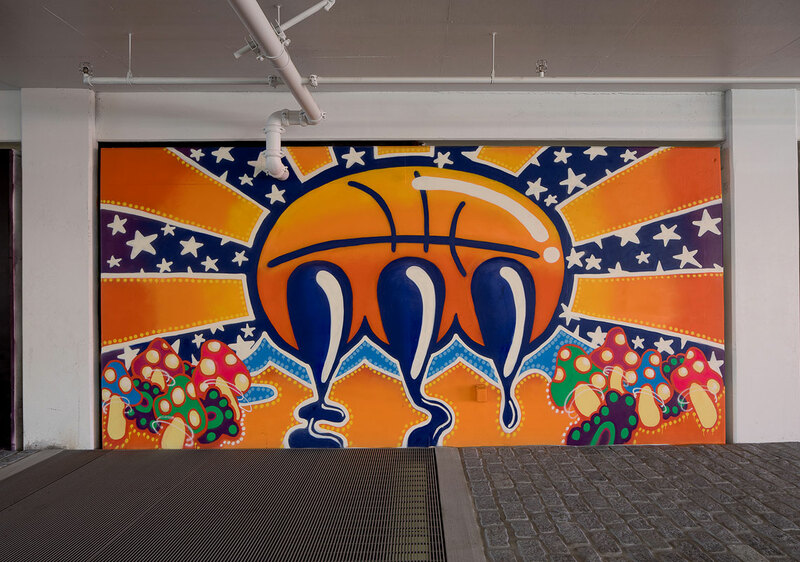 The garage is a six-story structure, with each level paying tribute to one of the six major sports franchises in New York with basketball, futsal, and handball courts filling the courtyard areas below. Most notably, 17 international artists the likes of Stash, Yoon Hyup, Hueman, and many more represented 10 countries across the globe to shed light on New York City’s international graffiti influence. The artist’s work cover a broad range of styles, with some highlighting different pattern techniques, and other focussing on creative lettering and unmistakable illustrative stylings. Each mural is intended to keep the spirit and energy of basketball alive, something that lies within bedrock of New York City’s core values. A number of the artists have also had a hand in Nike’s storied sneaker history, contributing their ideas and influence onto some of the best product collaborations in the Swoosh’s catalog. You can enjoy an up-close look at each mural below and read up on the rest of the NYC Garage story on Nike News.